Thinking the elderly homeowner was not at home and seeking money to support a drug habit, Fields decided to burglarize the home of his girlfriend's neighbor. He opened the screen door, pushed open the front door, crossed the living room to the television and reached to unplug it. At that moment, the 77 year old homeowner Louise J. Schem entered the room carrying her .25 semi-automatic pistol. A struggle ensued as the two of them wrestled to control the gun. Despite the fact that Schrem was elderly and only 5' 4" tall, and 114 pounds, their struggle was protracted: it began in the living room, spilled out the front door and down the steps, and ended on the sidewalk in front of Schem's house. Robert Vallejo happened to be driving by and saw the final seconds of the altercation. He testified that he saw them struggling on the sidewalk, heard Schem cry "Help! Help! ", heard a gunshot, and watched Schem fall to the sidewalk. Fields later admitted that he broke into the home, but that he was protecting himself when he struggled with the woman and the gun went off accidentally. Fields pled guilty to First Degree Murder expecting a sentence of Life Without Parole, but was sentenced to death. Fried catfish with hot sauce. "Stay strong. You all keep fighting." Fields also asked his cousins to take care of his son and told his sister: "Baby girl, stay strong and hold the family together. I love you all. Let's get this out of the way." The Oklahoma Court of Criminal Appeals today set Jan. 14, 2003, as the execution date for death row inmate Bobby Joe Fields. Attorney General Drew Edmondson requested the date yesterday after the United States Supreme Court denied Fields's final appeal. Fields was convicted in Oklahoma County District Court of the March 2, 1993, murder of Louise J. Schem. Fields shot Schem,77, when she confronted him with a gun during an attempted burglary at her Oklahoma City home. 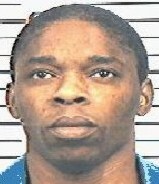 Fields pled guilty to first degree murder and was sentenced to death March 29, 1994. Oklahoma has executed four inmates this year. There are currently three executions scheduled for this year. Jerry Lynn McCracken, Tulsa County is scheduled to be executed Dec. 10. Jay Wesley Neil, Comanche County, is scheduled to be executed Dec. 12. Ernest Marvin Carter, Jr., Oklahoma County, is scheduled to be executed Dec. 17. Edmondson has also requested an execution date for Daniel Juan Revilla, who was sentenced to death Oct. 29, 1987, for the murder of a 13-month-old boy. Bobby Joe Fields pleaded guilty in 1994 to the 1983 murder of 77-year-old Louise Schem in Oklahoma County. Fields was burglarizing Schem's home for money to support his drug habit when she confronted him, prosecutors say. Fields shot her to death. On March 1, 1993, Shirley Masterson, Bobby Joe Fields's girlfriend, invited Fields to party at her duplex. Masterson's AFDC check had arrived and she planned on using the money to buy alcohol and cocaine. Shawanda and Yolanda Pittman, Masterson's grown daughters, and Dia Russell, Shawanda and Yolanda's friend, were partying with Masterson and Fields. The party continued the next day, March 2, 1993. Sometime around noon, Fields walked two doors down to Louise Schem's house ostensibly to ask if he could do yard work for her. She declined. In the mid- to late-afternoon, Fields went to the upstairs-half of Masterson's duplex to ask Albert Anuario if he wanted to buy a television and VCR for $70. Anuario, who had also been drinking, replied that he was interested but that he did not have enough money. Fields decided to steal Schem's television and sell it to buy more cocaine. Around 5 p.m., he again walked down the block to carry out the robbery, he thought Schem was not at home. He opened the screen door, pushed open the front door, crossed the living room to the television (which was on), and reached to unplug it. At that moment, Schem entered the room carrying her .25 semi-automatic pistol. A struggle ensued as the two of them wrestled to control the gun. Despite the fact that, at the time, Fields was thirty years-old, 5' 7" tall, and weighed 140 pounds while Schem was elderly, 5' 4" tall, and 114 pounds, their struggle was protracted: it began in the living room, spilled out the front door and down the steps, and ended on the sidewalk in front of Schem's house. Robert Vallejo happened to be driving by and saw the final seconds of the altercation. He testified that he saw them struggling on the sidewalk, heard Schem cry "Help! Help! ", heard a gunshot, and watched Schem fall to the sidewalk. The government's medical examiner testified that the bullet had a flat trajectory ­ it entered the back, left-side of Schem's neck, beneath her left ear, passed through her spinal cord and the back of her mouth, and exited her mouth, fracturing two of her incisor teeth. The gunpowder residue on the back of her neck indicated that the shot was fired from six to twelve inches. Vallejo drove away a short distance, made a U-turn, and returned to the scene. Fields had fled, but he returned to Masterson's house thirty to forty minutes later. As he walked in Masterson's back door, the pistol went off. Dia Russell testified that Fields looked hysterical he was talking fast and breathing heavily. Perhaps half an hour after returning to Masterson's house, he went upstairs and sold the gun to Anuario for $40. Shortly after the police and medical personnel started arriving at Schem's house, Russell took Masterson and Fields to Fields's sister's house. Russell testified that during the drive Fields said that "he didn't have any kind of remorse or guilt" and "he wouldn't lose any sleep" because "white people deserve what they got." In addition, she testified that later, while they were watching a news story of how the police had arrested a different black man for the murder, he said that he was "relieved" that he might not get caught and that "he had thought about being on the television show America's Most Wanted." Two days after the murder, on March 4, 1993, Fields was arrested and interrogated. He told the police that, thinking Schem was not home, he went to her house to steal her television. When she surprised him with a gun, he jumped at her in self-defense, and they wrestled over the weapon. The struggle spilled out onto the sidewalk, where he pulled the gun from her hands. As he did so, it went off accidentally, killing her. Feb. 10, 2003 - Gov. Brad Henry rejected a clemency recommendation Monday for Bobby Joe Fields, whose execution is scheduled this week for killing an Oklahoma City woman. After reviewing the record and information presented at Fields' clemency hearing, "I have determined that clemency should be denied in this case," Henry wrote in a letter to Stephanie Chappelle, chairwoman of the Pardon and Parole Board. Fields is scheduled to be executed Thursday evening. The board had voted 3-1 on Jan. 6 to recommend that clemency be granted Fields and that his sentence be commuted to life without parole. The next day, outgoing Gov. Frank Keating granted a stay to allow time for Henry, who was inaugurated Jan. 13, to review the case and make the decision on whether Fields should be executed. Since that time, Henry said he had looked at arguments and evidence and met with prosecutors and attorneys for Fields. "Both sides were given the opportunity to submit information and make arguments both to me personally and to my legal staff," he said. Press secretary Kym Koch said Henry, an attorney, viewed Fields' clemency hearing on videotape and asked "a lot of questions" of attorneys. "It was a difficult decision," Koch said. "He looked at the history of all the appeals court decisions in the case and saw no court sentiment that the conviction should be overturned." It was the fifth time during Keating's eight years in office that the board had recommended clemency for a condemned killer. Keating turned down the recommendation three times. He granted clemency for Phillip Dewitt Smith in March 2001. During Keating's tenure, 50 people were executed, more than under any Oklahoma governor. The state of Oklahoma is scheduled to execute Bobby Joe Fields Feb. 13 for the 1993 murder of Louise Schem. Fields, a black man, allegedly shot the 77-year-old woman in Oklahoma County while burglarizing her home. Although the crime – a felony murder – warrants severe punishment from the state, the death penalty is entirely inappropriate in this instance. Fields would be serving a life without parole sentence if he had the resources to afford quality legal representation; instead, he unknowingly pled for a death sentence, and is now awaiting execution. On Jan. 6, the Oklahoma Pardon and Parole Board recommended clemency for Fields by a vote of 3-1. Former Gov. Frank Keating granted a 30-day reprieve in light of the board’s action, handing the case to Gov. Brad Henry, who took over the statehouse Jan. 13. Henry, inexperienced in reviewing death penalty cases from this perspective, should accept the board’s recommendation and commute the sentence immediately. The board voted for clemency for a multitude of reasons, not the least of which was Fields’ peculiar route to death row. On advice from his state-appointed defense lawyer, who was completely inexperienced in death penalty cases, Fields entered a blind plea in February 1994 under the assumption that this action would eliminate the possibility of a death sentence. This strategy backfired, and the court sentenced him to death shortly thereafter. Questions surrounding the circumstances of the plea remain unanswered, and Fields maintains his plea was not entirely voluntary. He never went to trial and never stood before a jury; now, he has less than one month before his scheduled execution date. So far, the appellate courts have ignored the obvious legal errors in Fields’ case; both the Oklahoma Court of Criminal Appeals and the 10th Circuit U.S. Court of Appeals unanimously affirmed his death sentence. However, on November 18, the U.S. Supreme Court announced its decision to reconsider the guidelines for ineffective assistance of counsel appeals in the case of Maryland’s Kevin Wiggins. The threshold for such claims is currently based on Strickland v. Washington – the landmark 1984 decision that determined what constitutes ineffective assistance of counsel. Considering the fact that poor legal advice essentially fast-tracked Fields to a death sentence, he has a legitimate argument in this regard. Beyond the strange legal history of this case, Fields’ case contains has several mitigating factors that warrant clemency regardless of the ineffective counsel argument. He has a dreadful history of substance abuse problems, and his addiction to crack cocaine undoubtedly sparked the Schem murder. As the state held, he shot the elderly woman while attempting to rob her for money to buy more drugs. McALESTER -- Bobby Joe Fields died Thursday for the 1993 fatal shooting of a 77-year- old Oklahoma City woman, executed despite a clemency recommendation from the state parole board. Fields died at 6:05 p.m., three minutes after receiving a lethal dose of drugs at the Oklahoma State Penitentiary in McAlester for killing Louise J. Schem during a burglary March 2, 1993. Fields smiled at his sister, Geraldine Banks, and his cousin, then told his two attorneys witnessing the execution to "stay strong. You all keep fighting." "Cousin, if you can, try to look after my boy," Fields said of his estranged son during his final statement. Then to Banks: "Baby girl, stay strong and hold the family together. I love you all." Banks wept and buried her face into her handkerchief as Fields' eyes slowly closed and his head jerked slightly before he became still. No one on Schem's behalf watched Fields, 39, become the second inmate executed in Oklahoma this year and the 140th in the state's history. Fields' execution came despite the Oklahoma Pardon and Parole Board's Jan. 6 recommendation that his sentence be commuted to life in prison. Gov. Brad Henry, in his first death penalty review, denied clemency. Fields was to be executed Jan. 14, but former Gov. Frank Keating issued a 30-day reprieve to give Henry time to consider the clemency recommendation. "Bobby Joe Fields was properly convicted and sentenced," Attorney General Drew Edmondson said. "His appeals have been exhausted and the governor has rightfully denied clemency. It is time the execution is carried out." Fields' attorneys argued during the clemency hearing that Fields should be spared because he had no advance intention of killing Schem. The board voted 3-1 in favor of clemency, with one abstention. "I understand how the governor has made his decision, but my initial review was that that was not his (Fields') intent, to cause bodily harm," said parole board Chairwoman Stephanie Chappelle, who voted for clemency. But parole board member Susan Bussey, who voted against clemency, said there was nothing presented during the hearing that warranted commuting Fields' sentence. After a night of drinking and using cocaine, Fields broke into Schem's Oklahoma City house to steal her television, when she walked in with a gun, court records say. Fields and Schem scuffled over the weapon, spilling out onto the sidewalk where Fields shot Schem in the back of the neck as she tried to flee, records say. Fields and his first attorney, a public defender, expected an Oklahoma County judge to give him life in prison without parole when he pleaded guilty to first-degree murder in 1994. But Judge James L. Gullett ordered capital punishment after the sentencing hearing. The attorney, Catherine Burton, who's now in private practice, was too upset about Fields' execution to comment, her secretary said. Fields dined on $15 worth of fried catfish with hot sauce just before 1 p.m. Thursday as he waited for his execution. The state limits final meals to $15. Man Who Killed Elderly Woman in Burglary Executed in Oklahoma. McALESTER, Okla. - A man who murdered an elderly woman because he wanted to steal her television was executed by lethal injection at the state prison here Thursday night. Bobby Joe Fields, 39, became the second condemned killer to be executed by the state in 2003. Fields was convicted of the 1993 murder of Louise Schem, in Oklahoma City. Prosecutors said Fields broke into the victim's home to steal her television. However, Schem had a gun and, during a struggle, Fields took the gun away from the victim and shot her, prosecutors said. Fields, who had pleaded guilty to the murder expecting to receive life in prison instead of a death sentence from a judge, requested and received fried catfish for his last meal. He was pronounced dead at 6:05 p.m. from the lethal combination of chemcials injected into his body. The Oklahoma Pardon and Parole Board had voted 3-1 to recommend that Fields’ death sentence be commuted to life in prison, but Gov. Brad Henry rejected any mercy, clearing the way for Fields to die. Fields was originally scheduled to die on Jan. 14, but outgoing Gov. Frank Keating, saying he didn’t have enough time to review the pardons panel recommendation, postponed the execution so Henry could make the decision. Fields had broken into Schem's apartment after a night of drug and alcohol use. Fields' lawyers said the shooting was an accident during the struggle over the gun. The state of Oklahoma is scheduled to execute Bobby Joe Fields January 14 for the 1993 murder of Louise Schem. Fields, a black man, allegedly shot the 77 -year-old woman in Oklahoma County while burglarizing her home. Although the crime - a felony murder - warrants severe punishment from the state, the death penalty is entirely inappropriate in this instance. Fields would be serving a life without parole sentence if he had the resources to afford quality legal representation; instead, he unknowingly pled for a death sentence, and is now awaiting execution. Struggles with ineffective counsel have plagued this young man's journey through the justice system. On advice from his state-appointed defense lawyer, who was completely inexperienced in death penalty cases, Fields entered a blind plea in February 1994 under the assumption that this action would eliminate the possibility of a death sentence. This strategy backfired, and the court sentenced him to death shortly thereafter. Questions surrounding t he circumstances of the plea remain unanswered, and Fields maintains it was not entirely voluntary. He never went to trial and never sat before a jury; now, he has less than one month before his scheduled execution date. So far, the appellate courts have ignored the obvious legal errors in Fields' case; both the Oklahoma Court of Criminal Appeals and the 10th C ircuit U.S. Court of Appeals unanimously affirmed his death sentence. However, on November 18, the U.S. Supreme Court announced its decision to reconsider the guidelines for ineffective assistance of counsel appeals in the ca se of Maryland's Kevin Wiggins. The threshold for such claims is currently based on Strickland v. Washington - the landmark 1984 decision that determined what constitutes ineffective assistance of counsel. Considering the fact that poor legal advice essentially fast-tracked Fields to a death sentence, he has a legitimate argument in this regard. Beyond the strange legal history of this case, Fields' case contains severa l mitigating factors that warrant clemency regardless of the success of his appeals. He has a dreadful history of substance abuse problems, and his addiction to crack cocaine undoubtedly sparked the Schem murder. As the state held, he shot the elderly woman while attempting to rob her for money to buy more drugs. If the courts refuse his final appeals, the Oklahoma Pardon and Parole Board should recommend a commutation of this sentence in its report to the governor. Unlike some jurisdictions, the Oklahoma statehouse has limited power in the death penalty process. The governor can only intervene if the Pardon and Parole Board gives him a favorable recommendation, which renders his opinion useless in most cases. However, if 3 of the 5 members of the board recomme nd clemency to the governor, he has the power to commute the sentence. Gov. Frank Keating, a staunch death penalty proponent, will be leaving offi ce Jan. 13. Over the years, Keating has repeatedly ignored the Pardon and P arole Board's recommendations and sent dozens of inmates to the death chamber. The incoming governor, Brad Henry, should examine Oklahoma's use of capital punishment and use his executive power more wisely if given the opportunity. Fields will go before the Pardon and Parole Board Jan. 6, 2003, which will likely determine the status of his pending execution. Please write the state of Oklahoma and request a commutation of his death sentence. Defendant was convicted, pursuant to blind guilty plea, in the District Court, Oklahoma County, James L. Gullett, J., of first-degree felony murder, and was sentenced to death. Defendant filed petition for writ of certiorari, appealing denial of his motion to withdraw plea and requesting mandatory death sentence review. The Court of Criminal Appeals, Lane, J., held that: (1) defendant's plea was voluntary; (2) defendant was not entitled to withdraw plea; (3) defendant was not denied effective assistance of counsel; and (4) evidence supported aggravating factors found by sentencing judge. Affirmed. Lumpkin, P.J., concurred in result. Bobby Joe Fields, Petitioner, entered a blind plea to the charge of First Degree Felony Murder in Case No. CF-93-1352 in the District Court of Oklahoma County before the Honorable James L. Gullett, District Judge. Appellant was convicted of First Degree Murder and sentenced to death, upon the trial court's finding that the murder was committed to avoid or prevent lawful arrest or prosecution, that Petitioner was previously convicted of a felony involving the use or threat of violence to the person and that Petitioner constituted a continuing threat to *627 society. Petitioner was sentenced to death. The Judgment of the trial court is AFFIRMED. On February 7, 1994, Petitioner, Bobby Joe Fields, entered a blind plea to a First Degree Felony Murder charge in the District Court of Oklahoma County, Case Number CF-93-1352, before the Honorable James L. Gullett, District Judge. The State had filed a Bill of Particulars alleging the presence of three aggravating circumstances: that the crime was committed to avoid or prevent lawful arrest or prosecution; that Petitioner was previously convicted of a felony involving the use or threat of violence to the person; and that Petitioner constituted a continuing threat to society. A sentencing hearing was conducted March 28-29, 1994. On April 7, 1994, the trial court formally sentenced Petitioner to death, finding that the State had sufficiently proven the existence of all three aggravators. On April 15, 1994, Petitioner timely filed his motion to withdraw plea. On May 13, 1994, a hearing was held and the motion was denied. On November 14, 1994, Petitioner filed his Petition for Writ of Certiorari appealing the denial of his motion to withdraw, and requesting mandatory death sentence review. After defendant's murder conviction and death sentence was affirmed on direct appeal, 923 P.2d 624, defendant petitioned for postconviction relief. The Court of Criminal Appeals, Lane, J., held that: (1) defendant's claim that his death sentence was invalid was waived; (2) defendant was not denied effective assistance of appellate counsel; (3) defendant's claim regarding trial court's alleged bias was barred by res judicata; and (4) defendant was not entitled to evidentiary hearing or discovery. Application denied.